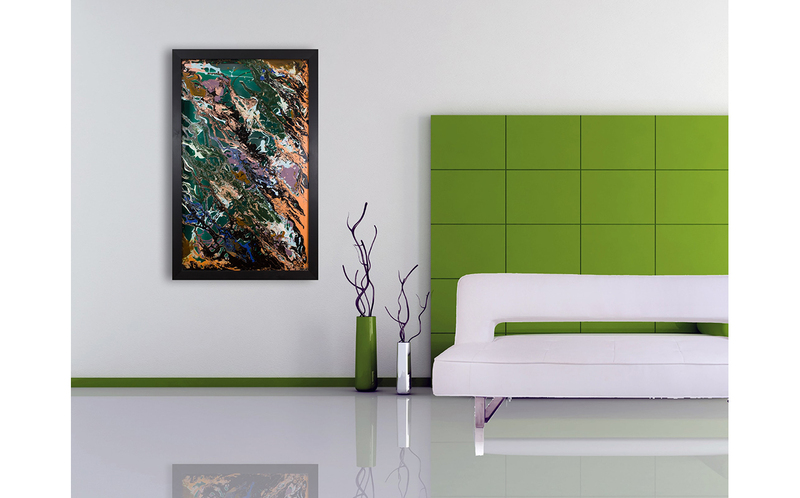 A truly unique and quirky example of where modern art meets abstract glass designs. 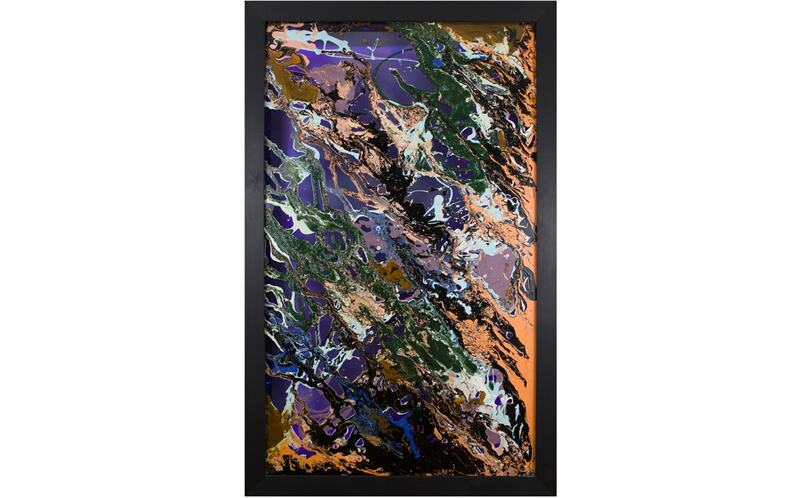 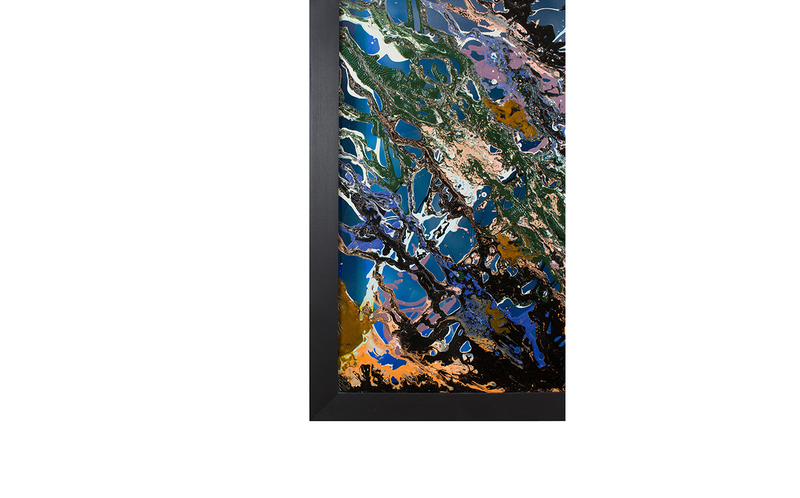 This unusual glass painting will not fail to draw attention and stimulate discussion as it is an impeccable addition to any interior. 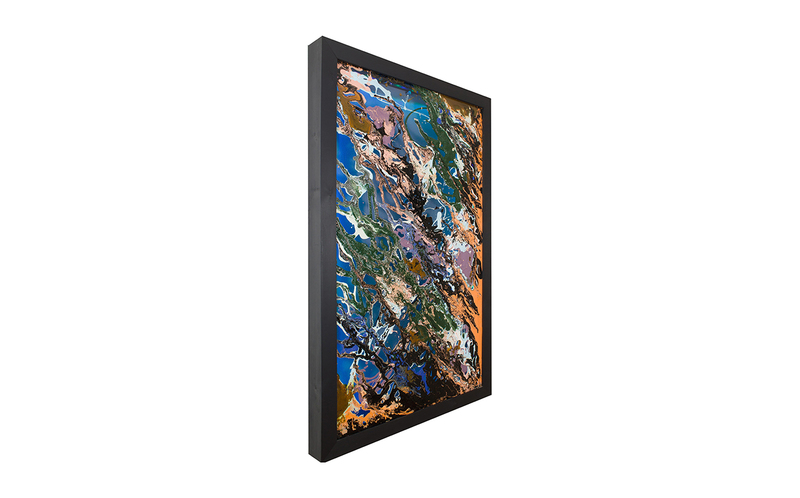 Whether it is a kitchen, lounge or office, this high in quality art piece .Featuring remote controlled ights built into the frame.